Memphis Grizzlies New Era 2017 Official Draft 9FIFTY Snapback Cap . As the official NBA Draft Gorra of 2017, New Era is proud to provide the look that the prospect of tomorrow will be wearing when Adam Silver calls their name. 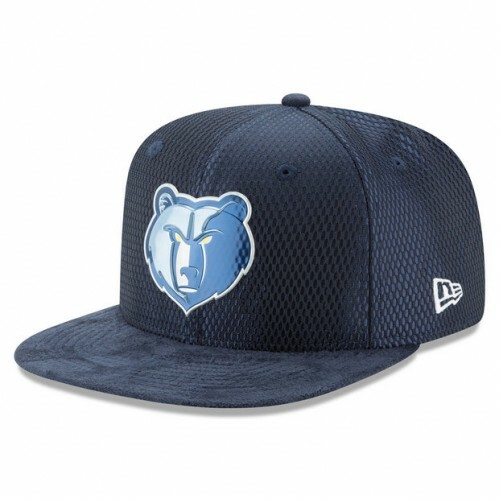 The 9FIFTY is the fashion option from New Era, with a flat visor and adjustable reflective snapback. The team logo is loud and proud to the front in a dual chrome finish and is oversized on the reflective undervisor. A secondary logo hit is embroidered to the cap, showcasing the alternate team logo. The fabrication of the Gorra gives the draft range a premium feel, with a metallic lux mesh crown and a faux suede visor. Authentication comes from the NBA logo over the snap arch and the iconic New Era flag to the right hand side.